KANSAS CITY, Mo. (Oct. 30, 2018) – The trees have turned and the Missouri golf season is over, that much was clear Tuesday afternoon as Justin Wingerter took the last title handed out this fall. Wingerter, an Olathe, Kan., native, held it together over his closing holes to edge Parker Miller by a single shot for the title. Wingerter started strong with a first-round 3-under 69 at Wolf Creek Golf Links. Tuesday’s round was off to a strong start, too. Wingerter, a high school junior, had two birdies in his opening six holes, but didn’t make another all day. Four bogeys pushed him to a final-round 74 that left him 1 under for the tournament and one ahead of Miller. The Kansas City, Kan., resident had back-to-back rounds of 72 to finish runner-up. Earlier this summer, Wingerter won the Kansas City Junior title. He was runner-up in that tournament a year ago. Joe Bultman of Shawnee, Kan., was third at 1 over. Kansas City’s Gregory Diederich tied for fourth with past champion Mark Terranova. The Overland Park, Kan., resident won in 2014. Both Diederich and Terranova were 2 over. Diederich opened with 69. An Olathe native also claimed the senior division title. David Hamilton won by three shots at 4-over 148. He had rounds of 75-73 to stay clear of the three-man tie at second that included Bryan Norton, winner of this summer’s Kansas Senior Amateur. 36 Holes Stroke Play. 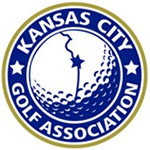 Invitations based upon the Kansas City Amateur Player Rankings. The top 32 players plus the club champion of the host venue receive invitations.